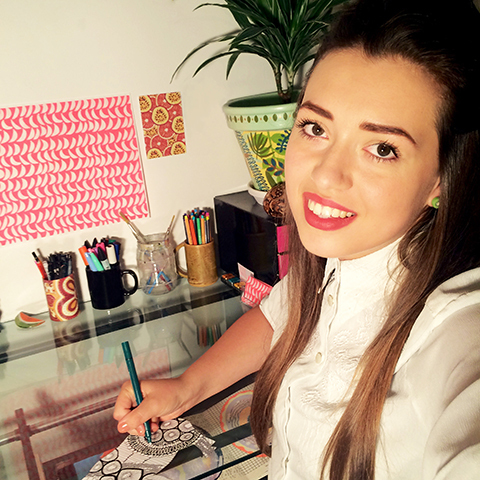 An interview with Laura Schofield: Amelia’s Colourful Colouring Companion featured artist. 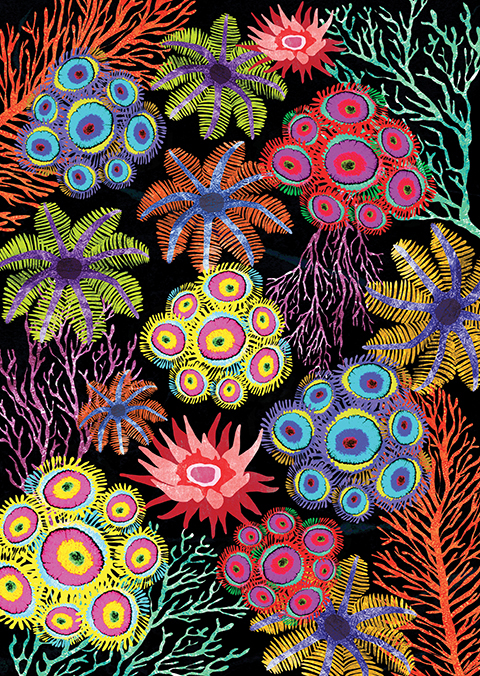 Laura Schofield makes vibrant textured artworks inspired by a love of nature. Here she talks about life as a graduate, and plans for the future. Laura Schofield has contributed a wonderfully vibrant artwork inspired by a love of pattern and texture. The Arts University Bournemouth graduate talks about her love of microcellular biology, how to spread the concept of sustainability and possibilities for the future. Find her work in Amelia’s Colourful Colouring Companion now. You clearly love to use colour, what inspired the colour palette for your double page spread in my book?